No matter where you bought your dishwasher, we can repair it. We work on numerous dishwasher brands including Amana, Bosch, KitchenAid and Samsung. We’re your best option for quick and easy local repair and maintenance of your dishwasher. 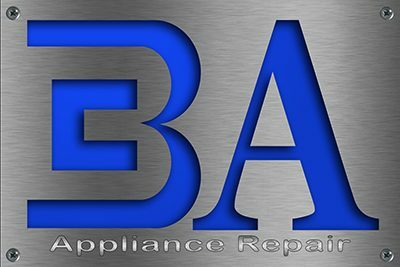 Whether the water won’t drain out of your dishwasher or your dishes just aren’t getting clean enough, you can count on BA for the best dishwasher service technicians in the business. Technicians that are local, licensed and vetted, with the skills to get your dryer up and running again. If you’d like to know whether a dishwasher repair technician can address your problem, call or schedule your dishwasher appointment online. Give us a call when some common problems with your dishwasher needs repair? Open the door and close it firmly to ensure it is closed properly. Make sure that you are closing the door within 3 seconds of pressing start if it has top-button control. Confirm that it’s receiving power. If lights on the display don’t turn on when you press them, reset the breaker and try again. Check that Control Lock or Delay Start options aren’t selected on the display—your dishwasher won’t start as expected in these modes. Make sure water supply valve to your dishwasher is turned on all the way. 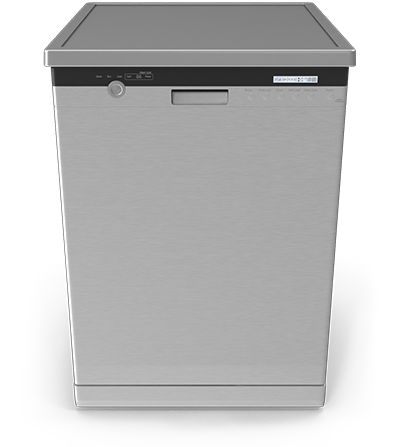 Clear any debris that may be caught under the float assembly that is located on the bottom of the dishwasher tub and be sure that it can move up and down freely. Ensure that the the drain hose that connects to the garbage disposal and/or your sink’s drain line is not kinked and that bends are not too sharp. Check and clear any blockages in the drain hose. If your dishwasher has an air gap (usually located on the countertop, parallel to the faucet), lift the cover off, unscrew the plastic cap, and clean any soil build up with a paper clip. If you have recently installed a new garbage disposal, confirm that the “knock out plug” was removed before the dishwasher drain hose was connected. Make sure the dishwasher is level from side to side and from front to back. Adjust the rinse agent dispenser to a lower number setting to ensure that there is not too much rinse agent being dispensed. Run the dishwasher without detergent to ensure the problem is not caused by using too much detergent. Check for pots, pot handles, or other objects that may be extending out of the rack area. Clear away any foreign objects or food debris that has built up on the door gasket (the soft rubber seal that runs around the door). If your dishwasher is new, you may need to push more firmly than usual on the door until the new door gasket softens up. Make sure the lower rack is not in backwards by confirming that any plastic spacers on the rack are facing the door. Make sure the dishwasher is level side-to-side and front-to-back. Make sure that there is rinse aid in the dispenser. Clean the detergent dispenser to ensure it is opening and dispensing correctly. Run the dishwasher without detergent to ensure the problem is not caused by using too much detergent leaving residue on the dishes.